Juncai Yang is a Portfolio Manager and Senior Investment Analyst in DuPont Capital’s Structured Equities Team. In this capacity, Mr. Yang is the Portfolio Manager for the firm’s Global Ex-U.S. Small Cap Structured Equities strategy. He is also responsible for managing and maintaining part of the Quantitative Analysis used by the Fundamental Equity Team. 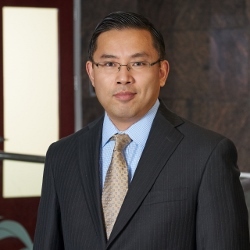 Prior to joining DuPont Capital in 2007, Mr. Yang was Senior Analyst at Nicholas Applegate Capital Management, a Quantitative Equity Analyst at Sun Life Financial, a Quantitative Equity Analyst with Scivest Capital Management ,and a Quantitative Equity Research Analyst with Synergy Asset Management. Mr. Yang joined the financial services industry in 2000. Mr. Yang holds a B.A. in Engineering Economics from Shanghai Jiao Tong University in Shanghai China, an M.A. in Economics from York University, an M.B.A. from the Schulich School of Business, York University, and a Post Graduate Diploma in Financial Engineering from the Schulich School of Business, York University.